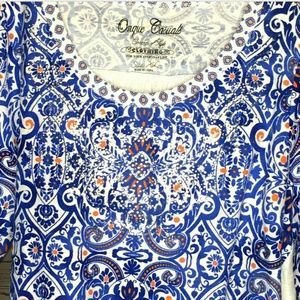 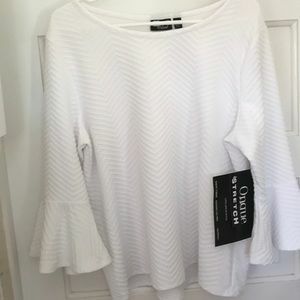 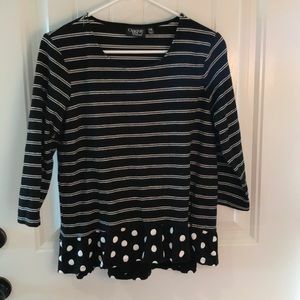 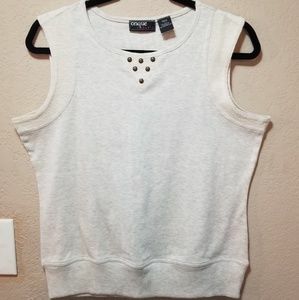 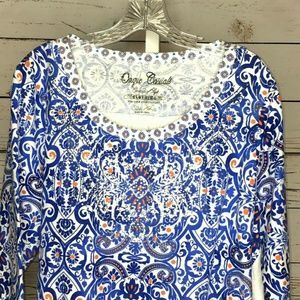 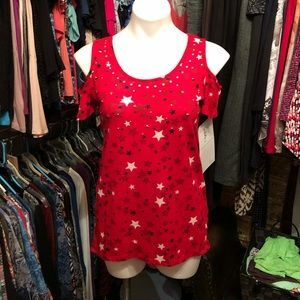 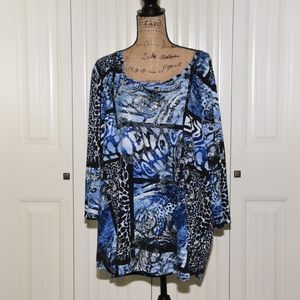 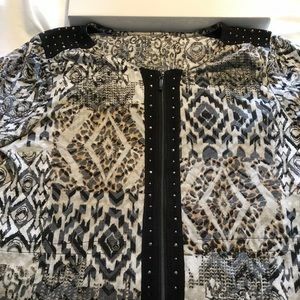 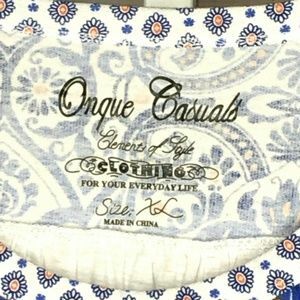 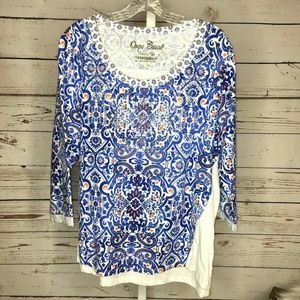 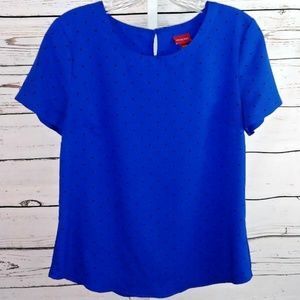 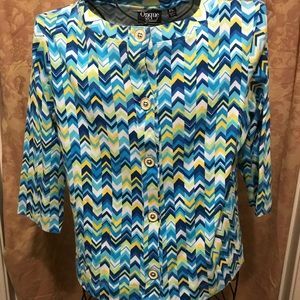 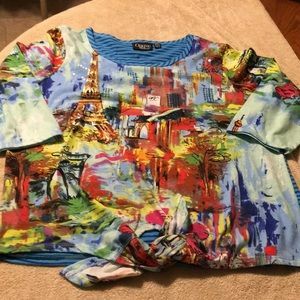 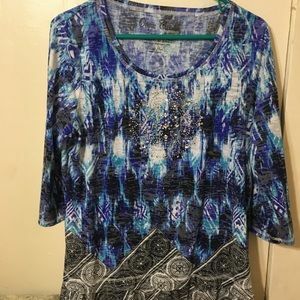 Onque Casuals woman's embellished top size XL. 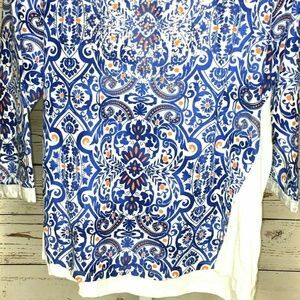 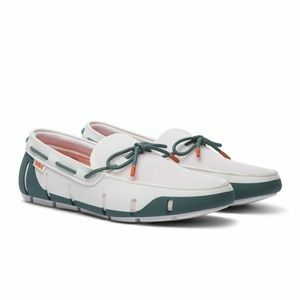 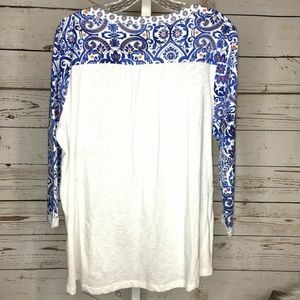 Top is white with blue design on the front. 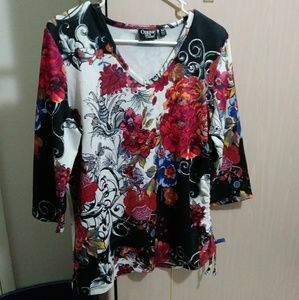 Blouse is embellished at neckline. 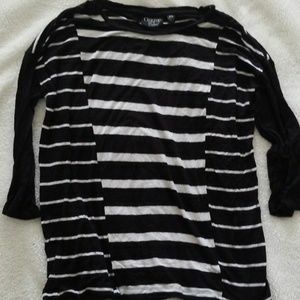 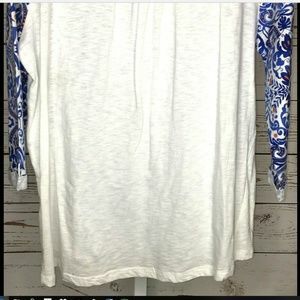 Sleeves have 3/4 length sleeves. 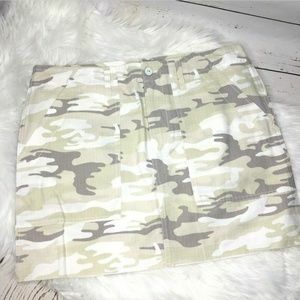 Fabric content as follows: Cotton Item Condition: Great overall condition. 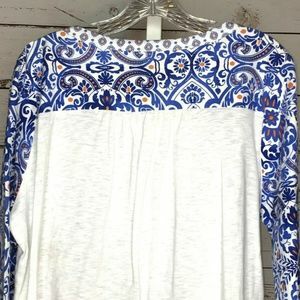 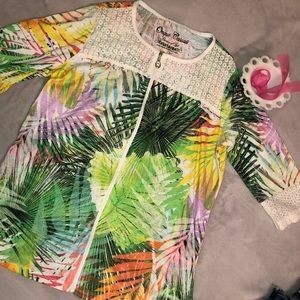 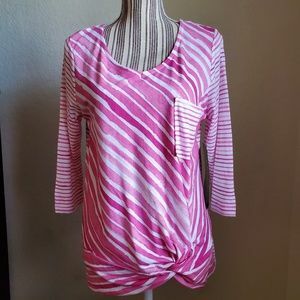 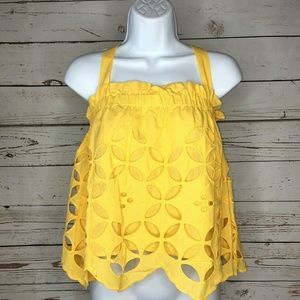 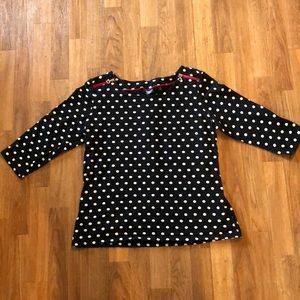 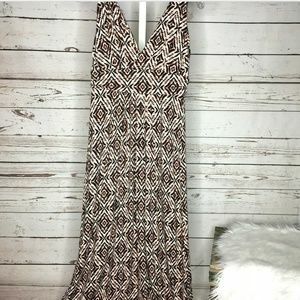 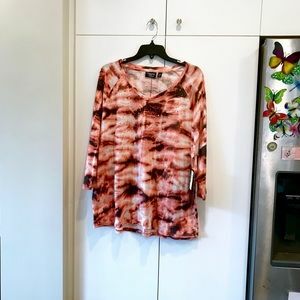 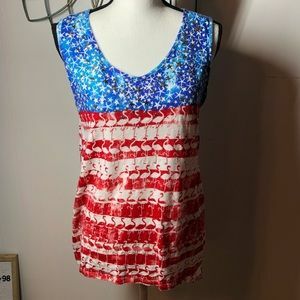 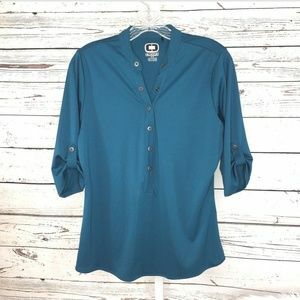 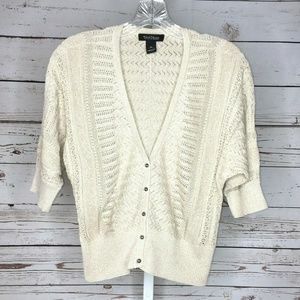 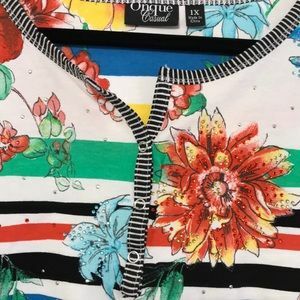 Fabric content as follows: Cotton Measurements as follows: Length- 27.5 inches Bust- 24.5 inches Sleeve length- 3/4 length waist- 24 inches All measurements are approximate and taken with garment laying flat. 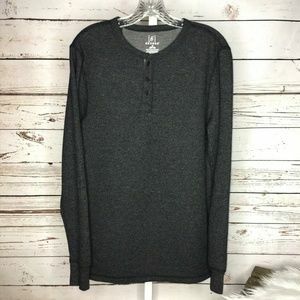 Black and white Onque XL knit top.